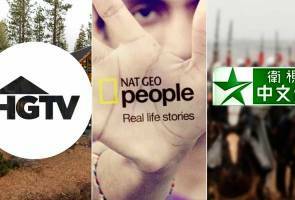 HGTV HD (Channel 731), Nat Geo People HD (Channel 725) and Star Chinese (Channel 315) will kick-start this Aug 31. KUALA LUMPUR: From Aug 31, 2015, Astro will have three new channels to fulfill the needs of its 18 million viewers which are increasing by the day. The new channels are HGTV HD (Channel 731), Nat Geo People HD (Channel 725) and Star Chinese (Channel 315). Astro Content Management Group vice-president, Agnes Rozario, said the company the move was in line with the company’s aim to continue bringing the latest content. She said, HGTV HD is the first Astro channel that is exclusively dedicated to inspire viewers with home design and decoration ideas. As for Nat Geo People, the programmes centre on the stories behind interesting sights and cultures. Not to be missed in this channel are Food Files and George Clarke’s Amazing Spaces. Meanwhile, as the only ala carte channel that can be subscribed at RM5.30 monthly (including GST), Star Chinese spells a leading Mandarin-content package in Asia that is based in Taiwan. Under Star Chinese, viewers can enjoy a total of 31 Taiwanese entertainment and drama programmes. For more information on the new channels, visit www.astro.com.my.